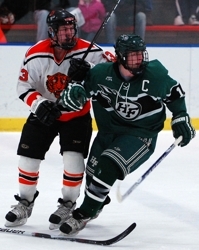 There’s no mistaking Tyler Heinonen’s abilities on the ice. 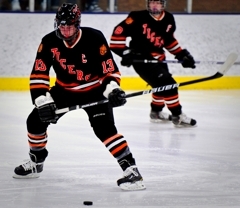 He hits like a runaway Peterbilt when so inclined, but attracts the statewide spotlight – not to mention a huge hometown following in Delano -- because of his goal-scoring feats. 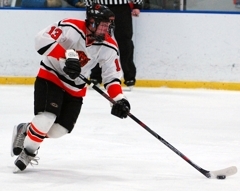 Last season, as a junior, Heinonen found the back of the net a whopping 44 times, making him the state’s top returning goal scorer this season. 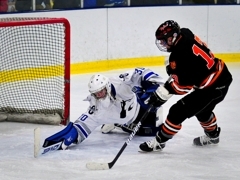 Heinonen, who scored five goals in Delano’s season-opening win over Owatonna, recently talked about his frigid hometown rink, which high school players have impressed him and what it will take for the Tigers to reach the state tournament. Question: You put up some big point totals last season. Was that a surprise or have you always been a goal scorer, even dating back to your youth hockey days? Answer: I wasn’t really a goal scorer up until Bantams. Second-year Bantams, I started to score a little bit more. But nothing could have prepared me for what happened last year, everything clicked with my line. I got chances at the net and put them away. 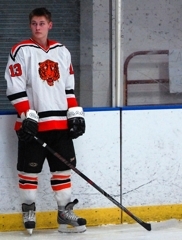 Q: Where did you play most of your rink rat hockey as a kid? Did you grow up with a rink in your backyard? A: Yes, I grew up with a rink in my backyard. 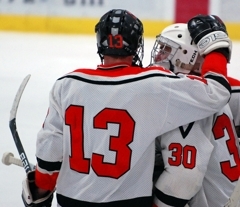 And then when we moved to Delano in, I think it was third grade, we built a rink down on city property but it was ours. I always had a rink back there. Q: Your home rink (Delano Area Sports Arena) might be the coldest in the state. If not, it’s certainly in the top 10. What is it like playing in such frigid conditions? A: We like it here. It’s definitely an advantage when teams come here. They don’t like playing here. I mean, the fans are right on top of you. It’s cold. Q: Do you hear much grumbling from opposing teams about playing in your rink? What do visiting players say? A: A lot of players just don’t like our rink period. It’s not the best rink out there. It’s got some drips from the ceiling that always get them. I guess they just complain about the cold mostly. 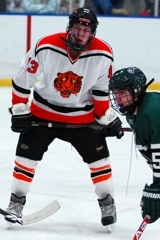 Q: Wisconsin and Michigan Tech are among the Division I college teams that have shown interest in you. What’s been happing with you lately in terms of recruiting? A: Lately it has just been talking. No offers have been made yet. Obviously I’m hoping for some. But we’ll have to see how I play out this season and see what happens from there. 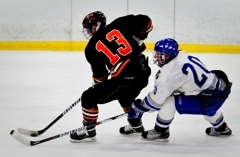 Q: You were one of the few Class A players on your team, Team Southwest, in the Upper Midwest High School Elite Hockey Hockey League this season. What’s it like being a small-school player in a locker room filled with players from mostly big-school, big-name programs such as Edina, Eden Prairie and Minnetonka? A: It’s hard coming in. Especially last year when I came in there. I didn’t know not one person on my team. But this year was a little bit better once I had played a year and I knew some of the guys. It’s different, you don’t see those guys on a day-to-day basis. We never play them. It’s fun to be able to play with them and then watch them during the season. Q: Were there any players in the Elite League who surprised you as far as how good they were? A: Not exactly players. The (Benilde-St. Margaret’s) line really impressed me this year. (Pat) Steinhauser and (Christian) Horn, them two work together really well. 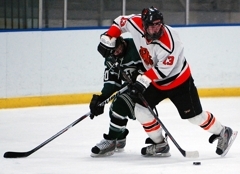 Q: You dished out some pretty big hits during the Elite League season, including one that knocked Osseo’s Tim Bonner out of the league for an extended period. Are you trying to become a more physical player? A: Yeah, I like playing physical hockey. I know when I’m not scoring the goals I’ve gotta make myself useful in other ways. Get out there and play the body and hopefully the goals come. 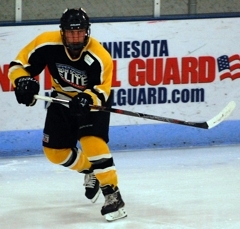 Q: Were you disappointed you weren’t picked to play in the Elite League's Bauer National Invitational Tournament, considering you did play in it as a junior? A: I was disappointed. More disappointed in myself. 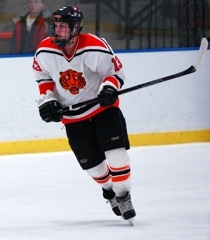 I didn’t feel like I played the best hockey throughout the fall season in the Elite League. It started out pretty good, and through the middle I had a couple of five-six games streaks where I wouldn’t play well at all. I don’t know what it was. Just run down on hockey. At the end I brought it on, but it was too late. Q: Last season Delano had a throwback night after some of the players discovered some old uniforms some might consider ugly bordering on hideous. How fun was it to wear those jerseys? A: It was was interesting. They definitely were ugly. But it was fun to bring them out on Senior Night. And we got a win that night, too. That was a fun night. Q: Delano is in a section that includes two of the state’s top small-school programs in Breck and Blake. What will it take for Delano to get past either, or both, of those teams? A: I think we are going to have to play a flawless defensive game. Our goalie will have to play well. We’ve got a first line that has some goal power, so if we can get some goals past them early and play a strong game I think we have a chance to beat both of them teams. Q: Have you thought about what it would be like to play in the state tournament? A: It's hard to think about it when you are growing up in Delano. When I grew up watching the team we never really had a chance. But these last few years we definitely came up and we feel like this year we have a very good chance to beat those top teams and maybe get our chance. 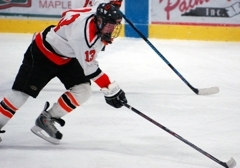 Credentials: Heinonen opened this season with a ho-hum five-goal game against Owatonna. That performance merely was an extension of lat season, when Heinonen racked up 44 goals, tied for the third highest total in the state. 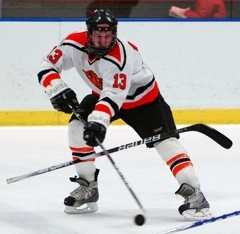 Heinonen has played in the Upper Midwest High School Elite Hockey League the last two seasons and was selected to play in the Bauer National Invitational Tournament as a junior. College committment: None. 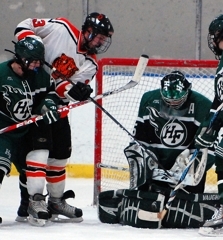 Heinonen has been in regular contact with Michigan Tech, and he has been proactive in contacting select programs to gauge their interest. Dream car: Boy, that’s a tough one. Probably a Porsche. Last book you read: Probably a Louis L’Amour book. Pre-game rituals? Stay concentrated. I don’t talk much.